Twenty percent of more than 2.6 million seniors with Medicare are readmitted to the hospital within 30 days. 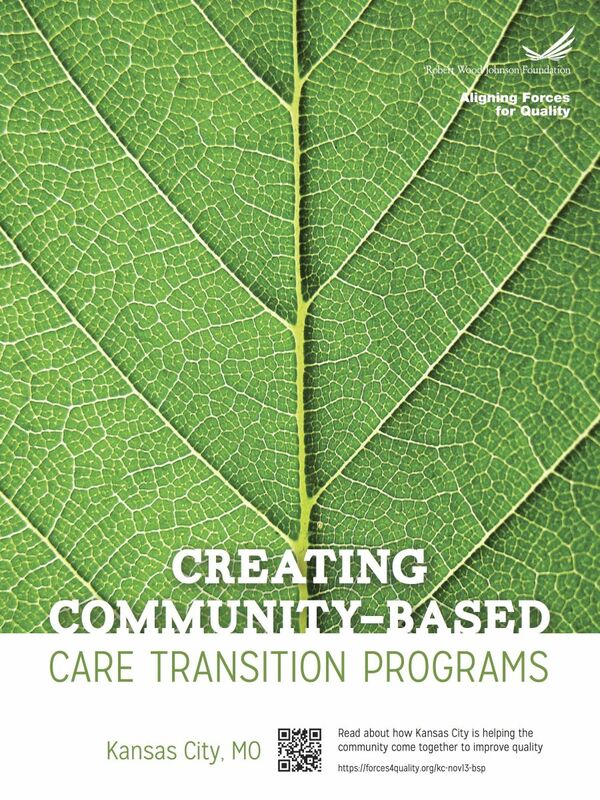 Created by the Affordable Care Act, community-based care transitions programs (CCTPs) aim to fix this problem by working with local hospitals and health care and service providers to improve care transitions for high-risk Medicare patients when they move from hospital stays to their home or other care settings. The Greater Kansas City’s area Aligning Forces for Quality Alliance, led by The Kansas City Quality Improvement Consortium (KCQIC), was named as the first Missouri/Kansas organization to receive recognition as a CCTP by the Centers for Medicare & Medicaid (CMS). KCQIC, along with the additional CCTP participants, provides care transition services to nearly 700,000 patients in 40 states. "This is a great opportunity for KCQIC to continue its care transitions work with hospitals and local nursing facilities," said Dr. Steve Salanski, co-chair of the KCQIC board. "We look forward to forming new relationships with physicians in the Greater Kansas City area through our partner hospitals and testing new methods for improving the quality of care delivered in our community." Partnering with the Visiting Nurses Association, Area Agency on Aging, and 15 hospitals, the program is focused on reducing hospital readmissions, enhancing patient experience, improving quality of care, and documenting measurable savings to the Medicare program. Currently, readmissions from Medicare patients cost more than $26 billion dollars every year. The program in the Kansas City area serves more than 10,000 patients and will bring an annual savings to Medicare of more than $1 million. The CCTP runs through 2015. Monthly data reports will track the effectiveness of CCTP services and highlight the level of cooperation among health care providers in the Kansas City region.